They produce a very low-noise, high-quality signal. Many of them integrate amplification and digital sampling electronics, thereby providing a digital signal directly. They are manufactured using tightly controlled micro-etching processes, and therefore their characteristics are extremely consistent from one to the other. They are quite insensitive to temperature changes. Because their membrane is so small and light, they are more than 10 times less sensitive to vibrations than an electrostatic microphone. Best of all, they are quite inexpensive. However, their small size makes them more sensitive to dust ingestion than a larger electrostatic microphone. 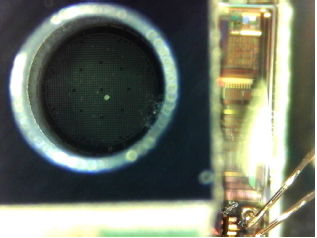 A typical MEMS microphone has a casing only a few mm in length. 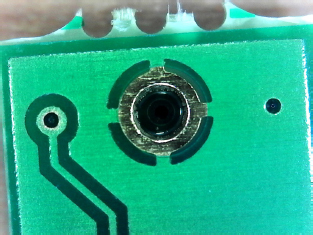 Figure 1 shows the casing of the microphone of a Noise Sentry RT-W, mounted on its PCB. Note that the width of the casing is only 3.8 mm. 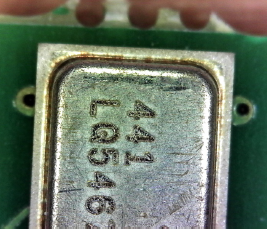 Figure 2 shows the flip side of the microphone PCB, showing the pressure port of the microphone. The pressure port opening is less than 0.3mm (300 μm) in diameter. Despite the very small size of the pressure port opening, fine dust particles can still penetrate inside the microphone cavity, with extremely detrimental effects. Figure 3 shows the microphone cavity, just underneath the pressure port. On that picture we can see a grain of dust, no more than 30 μm in diameter. That grain of dust created a reduction in sensitivity of 15 dB. The microphone membrane is a structure etched in silicon, only about 600 μm in diameter, and impossibly thin. When fine particles adhere to the microphone membrane, the symptoms can range from some loss of sensitivity to complete deafness. Sometimes the loss of sensitivity changes with time, making the microphone’s calibration very difficult and uncertain. Never blow on the microphone. It may seem to clean it externally, but will actually increase the chances of one or more particles entering the pressure port. If the exterior of the microphone port becomes very dusty, a good way to clean it is to use the sticky side of adhesive tape to mop-up the dust. Proceed with extreme care, in order to minimize the chances of dislodging dust particles, which could then enter the cavity. When operating in dusty environments protect the instrument as much as possible. The windscreen acts as a very effective barrier against dust. Do not operate in dusty environments without the windscreen. In dusty environments, change the windscreen often, so that it does not get full of dust itself. When changing a dusty windscreen, proceed with great care in order to avoid sending dust, or letting dust fall, close to the pressure port. When exposed to the elements windscreens have a tendency to degrade. They should be changed at least once a year.